After clicking the BOM export option, the dialog below will open. 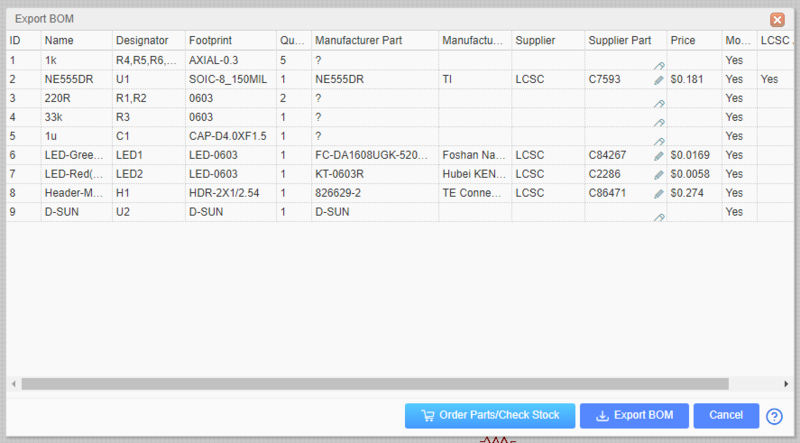 In this dialog，you can assign LCSC part’s order code for your components. After clicking on the assign icon，the components and packages search dialog will pop up, and you can choose which component you want to assign. 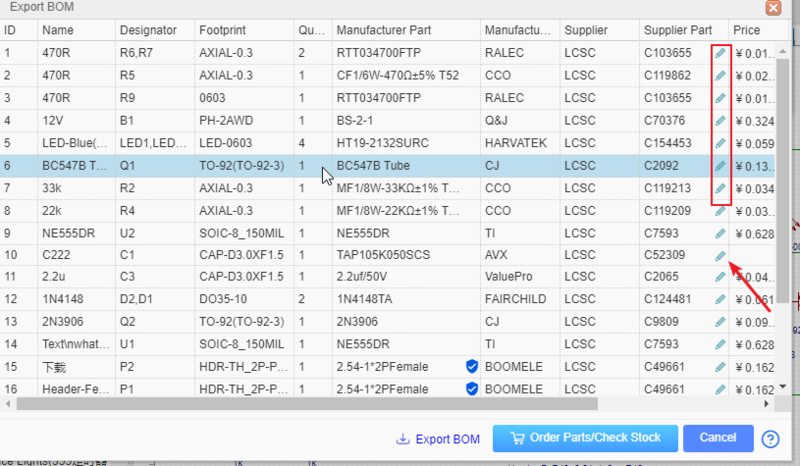 When you click the “Order Parts/Check Stock” button, we will help you to list all the components of your BOM at LCSC.com(If you haven’t login LCSC, you have to login first). If you want to buy the components form LCSC, and you just need to put them to the cart and check out. You can open the BOM in any text editor or spreadsheet. If your project has schematic and PCB, the BOM data will come from schematic; if the project only has PCB, the BOM data will come from PCB. Recommended solution: Save as a new CSV file in Excel or WPS. For example, open a CSV file in Excel, click or select: Save As - Other Formats - CSV (Comma Separated) (*. csv).